November 2nd, 1995, was a delicious day in television history. That’s when Jerry Seinfeld and the rest of his gang introduced us to the “Soup Nazi”, a stern-looking chef who demands his customers follow his obsessive rules for lining up and ordering. The Soup Nazi didn’t win any awards for customer service, but his soup was so good that customers lined up around the block for it anyway. The episode scored an Emmy for Larry Thomas, the actor who played the character. And it led to fame and fortune for Al Yeganah, the real-life “Soup Nazi” who operated a restaurant on Manhattan’s West 55th Street that the character was based on. Fast-forward to now. The Original Soup Man, based on Staten Island, has bought the rights to the Soup Nazi’s name and his recipes. The company manages three locations plus an online operation, and its stock even trades on the over-the-counter market (under the symbol SOUP, naturally). But all is not well in Soup Heaven. The company faces financial problems that no amount of Lobster Bisque or All-Natural Gluten Free Lentil can solve. So the Soup Man found himself borrowing some gold “bouillion” from our friends at the IRS. Here’s the scoop. Employers are responsible for withholding income tax and payroll tax from their employees’ wages. They’re also responsible for spooning out their own share of payroll taxes on those wages. Employers who find themselves in financial trouble sometimes “borrow” from the IRS by failing to make those deposits. (Just until business gets better, they tell themselves. Right . . . . ) Failure to pay those taxes deprives the government of much-needed revenue, of course. And it cheats those employees out of future social security benefits. You can probably see where we’re heading. On May 23, federal prosecutors indicted Soup Man’s chief financial officer, Robert Bertrand, on 20 counts of failing to pay. They reported that from 2010 to 2014, he paid some employees in unreported cash, and others in unreported stock awards to the tune of $2.8 million. And they alleged that his actions fleeced the government out of $593,971.52. Fortunately for the rest of us, there’s no need to risk years of watery, tasteless soup in order to pay less tax. You just need a plan. That’s where we come in, and we can promise better service than the Soup Nazi. Call us when you’re ready to discover our recipe for Savings Gumbo! Summer is almost here, and sports fans across America have a lot to look forward to. Basketball’s 13-month-long season is (finally) starting to heat up. Hockey playoffs are coming to a close. Baseball is in full swing, and NFLers are about to report to training camps. Stop at any bar or water cooler in the land, and you’ll hear talk of wins, losses, and plays that you just have to see. Fans and analysts have all sorts of statistics they can use to measure (and argue about) their teams’ performance. “Turf investors” have relied on The Daily Racing Form for over a century. Baseball is famed for legions of “sabermetricians,” who obsess over statistics like WAR (Wins Above Replacement), BABIP (Batting Average on Balls in Play), and LWCT (Largest Wad Of Chewing Tobacco). Football and basketball too, even hockey, all lend themselves to measures far beyond the mere score at the end of the game. But there’s one more sports statistic we might need to evaluate our favorite team by, and that’s SITR (State Income Tax Rate). So the winning percentage Yit for team i in year t is a function of . . . you know what, just the sight of those Greek letters probably makes your head hurt too, so let’s just skip it! Here’s the final score: “state income tax rates significantly impact team performance.” In the NBA, where the tax effect is greatest, moving a team from high-tax Minnesota to tax-free Florida should yield 4.7 more wins per year. That’s the equivalent of swapping a mediocre benchwarmer for a 2015 version of Draymond Green. In baseball, where there’s no salary cap and the tax effect is lowest, the same move would still add 1.6 Ws per year. And this effect is accelerating over time as free agents gain more mobility across teams. You may not think you have a lot in common with athletes weighing seven- and eight-figure contracts. But when they look at state income tax rates to compare offers, they’re doing tax planning. And you can do that same sort of planning yourself, even without those offers. 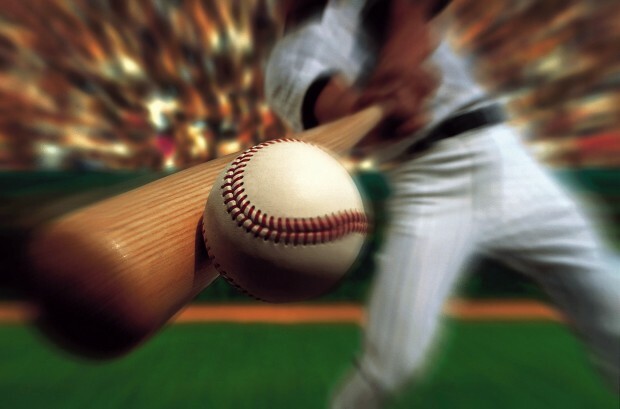 So call us when you’re ready to play ball, and let’s see if we can help you hit a grand slam! Right now, all across America, thousands of talented youngsters are dreaming of careers in performing arts. Whether they aspire to be the next Meryl Streep, or Taylor Swift, or Lin-Manuel Miranda, they understand the odds of success are long. But they still dream that one day they’ll find themselves in the audience at the Oscars, the Grammys, or the Tonys, waiting with their hearts in their throats as a tuxedo-clad presenter opens an envelope and reads their name. At the same time, thousands more Americans grow up dreaming of careers in law enforcement. These future Elliot Nesses aren’t looking for the red carpets or glamour of Hollywood. But there are awards waiting for the best of them, too. And this year, our friends at the IRS are basking in those bright lights. This year, incoming Treasury Secretary Steven Mnuchin hosted the awards for the first time. (No word on whether paparazzi quizzed him about his outfit, but we suspect not.) And when he opened the envelope for the cyber threat category, the it was the IRS Criminal Investigation unit that took home the trophy, for its work leading the multi-agency task force that took down the Silk Road online marketplace. Technology has disrupted all sorts of industries. Just look at what Uber has done to taxi cabs! So it shouldn’t come as a surprise that innovators have disrupted the neighborhood drug dealer, too. It all centered on a site called the Silk Road, where buyers and sellers connected to buy drugs like methamphetamines and marijuana. Buyers used “the onion router,” or TOR, to mask their IP addresses. They paid in bitcoin to hide their sources and even gave dealers “star ratings” like they would praise a local deli on Yelp. Ironically, the targets pled guilty to drug crimes and money laundering, not tax crimes. That’s not unusual, though — IRS special agents regularly lends their expertise to non-tax investigations. It’s also worth mentioning that this was the first case in this particular district where money laundering charges were based on bitcoin transactions, which shows how law enforcement keeps up with developments in crime technology. The odds that you’ll find yourself on the receiving end of a FinCen Law Enforcement Award are probably as long as your odds of someday accepting an Oscar. But if you haven’t done your planning, the odds are good that you’re paying more tax than you have to. So call us when you’re ready to pay less. You’ll be glad you did, even if there’s no red carpet waiting for you! Every year on the first Saturday in May, an enormous crowd of socialites, “turf investors,” and people just looking for a party descends on Churchill Downs for the Kentucky Derby. It’s an unforgettable pageant of mint juleps, fashionable hats, and the most exciting two minutes in sports. This year, the favorite Always Dreaming leaped first out of the gate, left challenger Battle of Midway after a mile, and sploshed the rest of the way down the muddy backstretch to his victory. The winner paid $11.40 on a $2 bet to win and landed his owners a tidy $1,635,800 purse. A horse is a horse, of course, of course, and no one can run like a horse, of course. But while Always Dreaming gets the glory and the roses, he couldn’t do it all by himself. Who helped? There were his owners, Anthony Bonomo and Vincent Viola, who spotted his potential. There was his trainer, Todd Pletcher, and his jockey, John Velazquez, each of whom had already won a Kentucky Derby. And, of course, there was the U.S. tax code, whose generous subsidies help make horse racing possible in the first place. Here’s the dark reality behind racing’s bright silks. Only one horse gets to claim that seven-figure Derby purse in a year, and most horses never clear a profit in their life. For the majority of owners, “investing” in racehorses is like “investing” in lottery tickets. And for most of them, that’s ok — their horses are just a (very expensive) hobby. Here’s where the handicappers at the IRS come in. Code Section 183 — also known as the “hobby loss” rule — says that you can deduct losses from your business against your other income — but you can’t deduct losses from your hobby. So . . . how do you know the difference? The basic rule is that you have to enter into the activity with an intent to make a profit. You don’t even have to have an expectation as long as you have the necessary intent. Want a hot tip on a sure thing? There’s no need to gamble on your taxes when a smart plan can help you pay less. So call us when you’re ready to finish in the money! You may already have Cinco de Mayo reservations penciled into your calendar. But how many know the role that taxes played in putting those tangy salt-rimmed cocktails on your Happy Hour menu? Back in 1862, we were struggling in the midst of a wrenching civil war. And south of the border, Mexico had just finished one of their own. The ruling liberals had passed a series of laws that, among other things, let the government tax the dominant Catholic church. The rival conservatives objected, with the dispute ultimately leading to war. After three years of fighting, the liberals prevailed. But incoming president Benito Juarez found his Treasury empty, and he issued a decree suspending foreign debt repayment for two years. French Emperor Napoleon III wasn’t willing to just write off the loss. More importantly, he also spied a chance to take advantage of the turmoil here in the U.S. to reestablish French influence in the western hemisphere. So he sent his army to the port of Veracruz to collect what Mexico owed. And his troops began marching down the road to Mexico City. Unfortunately for the French, that road led through the hilltop town of Puebla de Los Angeles. On May 5 — Cinco de Mayo — 6,000 French troops marched up Guadalupe Hill to take the town from 2,000 poorly equipped defenders. Everyone expected a rout — but it was the Mexicans who did the routing, firing downhill to pick off the advancers. The few French who reached the top faced machete-wielding Zacapoaxtla Indians, with depressingly predictable results. It was a small but symbolic victory that gave the Mexicans hope that they could repel the European invaders. Victory was short-lived. A year later, the French reached Mexico City and installed the Austrian Archduke Ferdinand Maximilian as Emperor of Mexico. But France wasn’t willing to actually support their new puppet monarch with their army. So, after three more years of chaos, Ferdinand and his top generals found themselves on the business end of a firing squad. Cinco de Mayo remained a little-noticed holiday until the 1980s, when beer marketers began using it as an excuse to promote their sudsy wares. Ironically, it’s barely celebrated at all in Mexico. We realize it’s a stretch to say that Mexico’s decision to tax the church led to your Cinco de Mayo celebration. But when you’re in the tax business, like we are, you see way too many things through that lens. And isn’t that what you want? A vigilant sentry, standing guard over your finances, wielding tax-saving strategies like a tribe of bloodthirsty Zacapoaxtalas wielding machetes? So call us when you’re ready to celebrate paying less . . . and have a margarita on us!